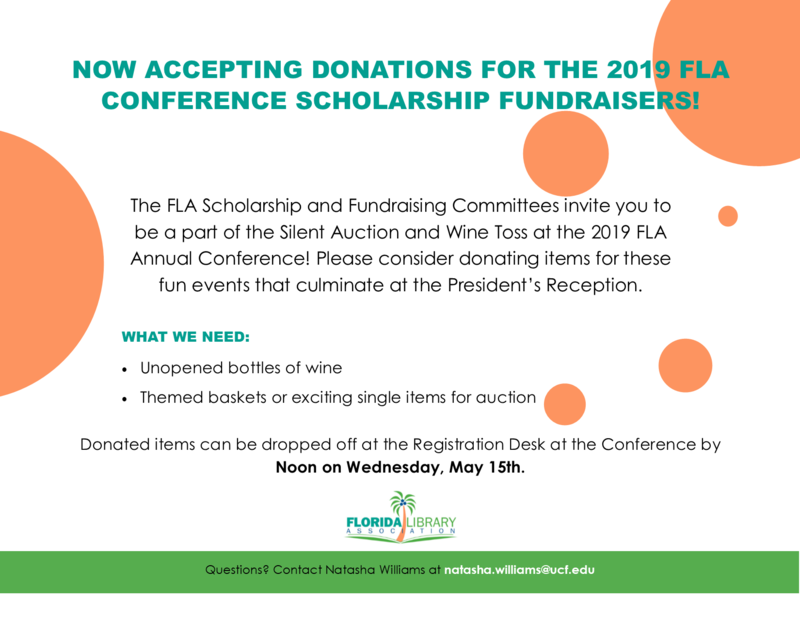 The FLA Conference Buddy Program, which is modeled after the LITA program, provides new attendees the opportunity to connect with "pros" and learn how to take advantage of all the great opportunities available at conference. This new program aims to cultivate an educational, rich and inspiring experience for both new and seasoned attendees. Ask questions, meet up at social events and attend the opening session together; just to name a few perks of your conference buddy! Deadline: Interested participants will need to be registered by April 5, 2019.